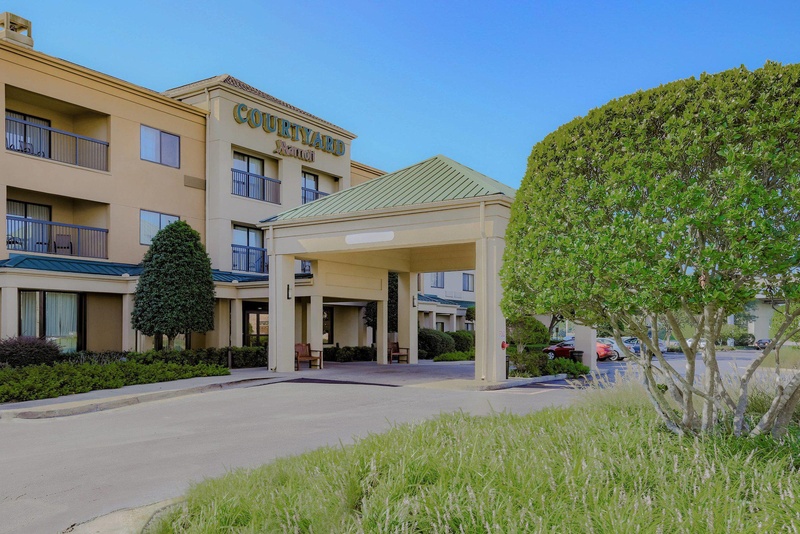 With a stay at Courtyard by Marriott Monroe in Monroe, you'll be minutes from Pecanland Mall and close to University of Louisiana at Monroe. This hotel is within the region of Louisiana Purchase Gardens and Zoo and Ike Hamilton Expo Center. Make yourself at home in one of the 90 air-conditioned rooms featuring refrigerators and flat-screen televisions. Complimentary wireless Internet access keeps you connected, and satellite programming is available for your entertainment. Bathrooms have complimentary toiletries and hair dryers. Conveniences include phones, as well as safes and desks. Amenities Don't miss out on the many recreational opportunities, including an indoor pool, a spa tub, and a fitness center. Additional amenities at this hotel include complimentary wireless Internet access and a fireplace in the lobby. You can enjoy a meal at a restaurant serving the guests of Courtyard by Marriott Monroe, or find a snack in a coffee shop/café. Quench your thirst with your favorite drink at a bar/lounge. Featured amenities include complimentary high-speed (wired) Internet access, a business center, and express check-out. Event facilities at this hotel consist of conference space and a meeting room. A roundtrip airport shuttle is complimentary (available on request). Good highway hotel. Located near shopping areas. Fantastic service. Staff accommodating. Staff was very friendly. Very friendly staff. Older flat screen. No hot water. Windows in bad shape. No a/c. Loud highway noise. Air quality horrible. No continental breakfast. There is no complimentary breakfast. Does not offer Breakfast. No onions. Hardly any cheese.